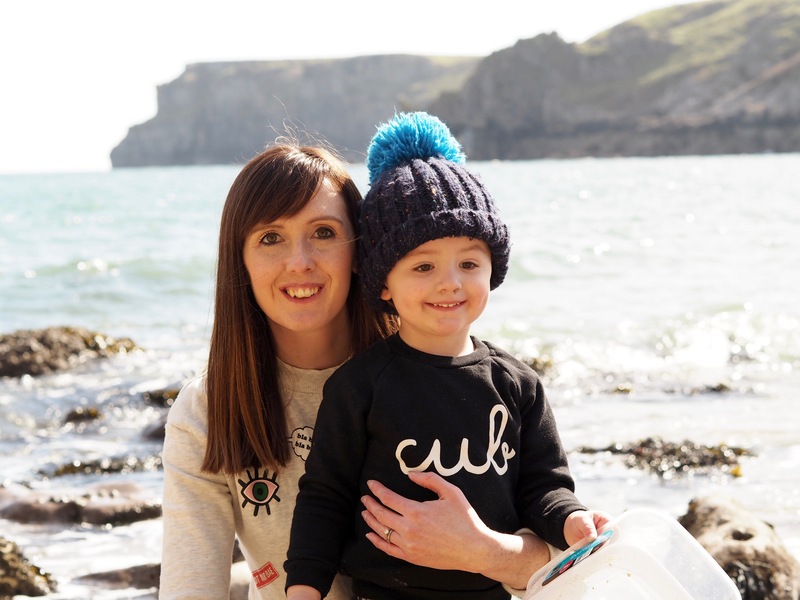 WE are very lucky to live in South Wales, with so many beautiful places to visit not far away, and a list of beaches to choose from if we fancy a day by the sea. 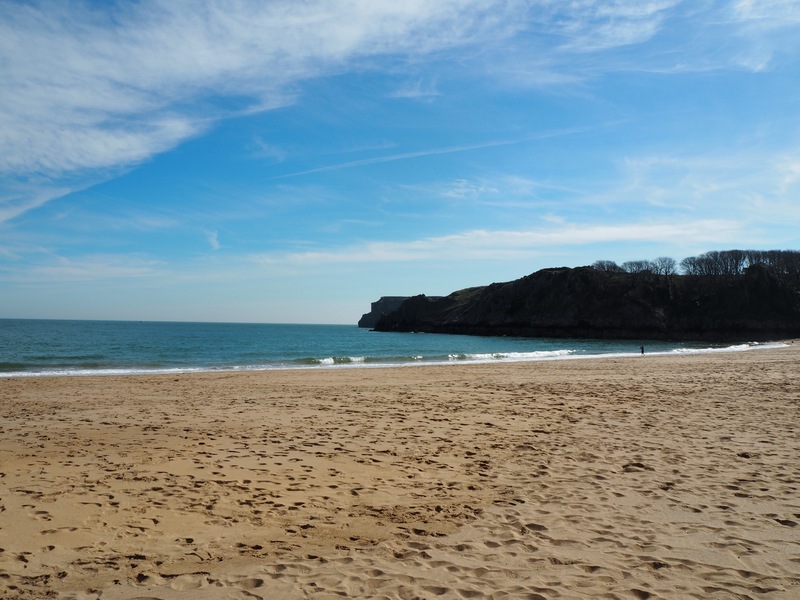 We can even say we live just over an hour from one of the best beaches in the world ( according to Passport Magazine ) – Barafundle Beach. 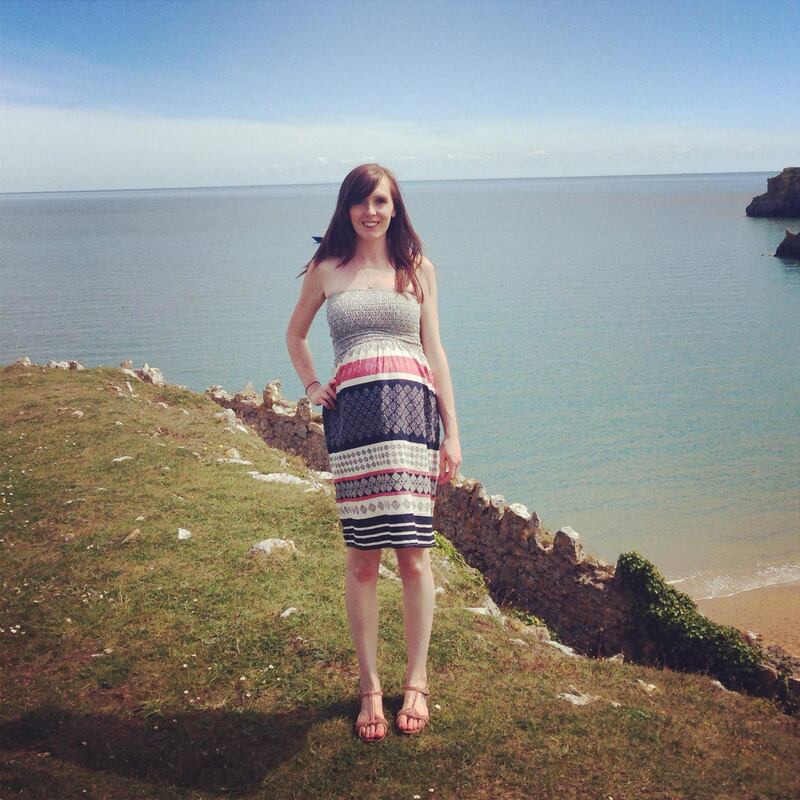 Even though we’ve visited Barafundle a few times now, I’ve never actually written about it. 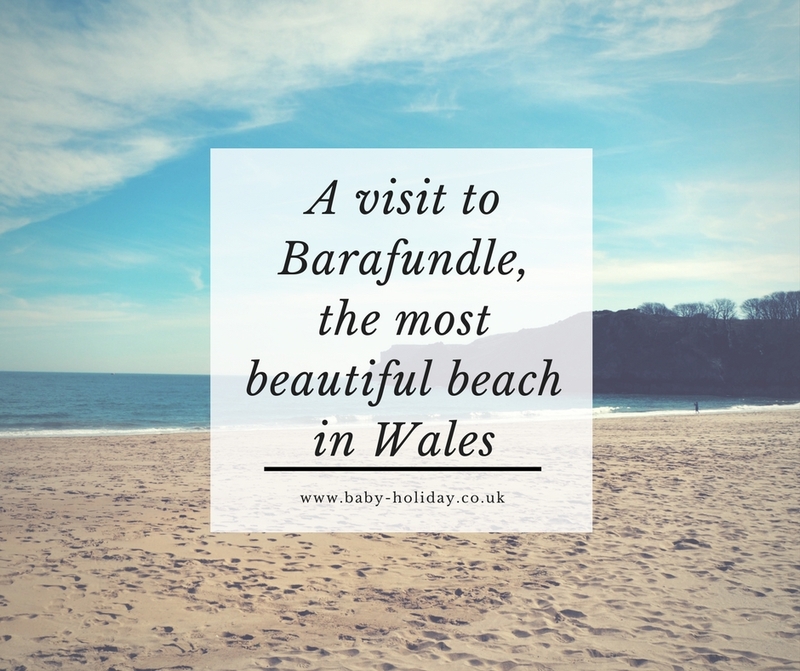 As it was voted the best beach in the country by Visit Wales this week, it seemed an apt time to share why we love Barafundle so much. There’s a video of our day here too. 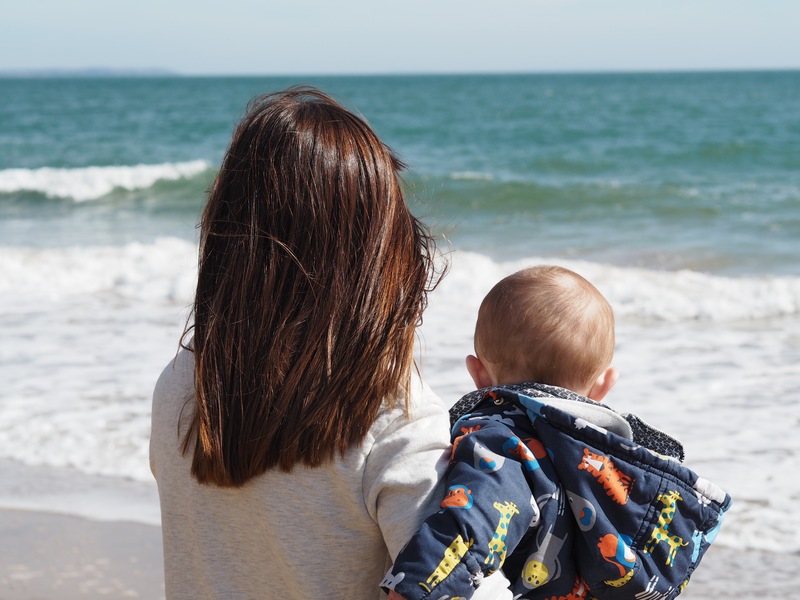 The first time me and Stew went there, I was eight months pregnant with our now three-year-old Santi. It was a beautiful sunny day, so we drove west to Pembrokeshire, parked up in Stackpole Quay and walked across the cliffs to Barafundle. The walk probably wasn’t the most sensible idea seeing as I could have gone into labour at any point, but I had my lovely yellow maternity folder in the car just in case! 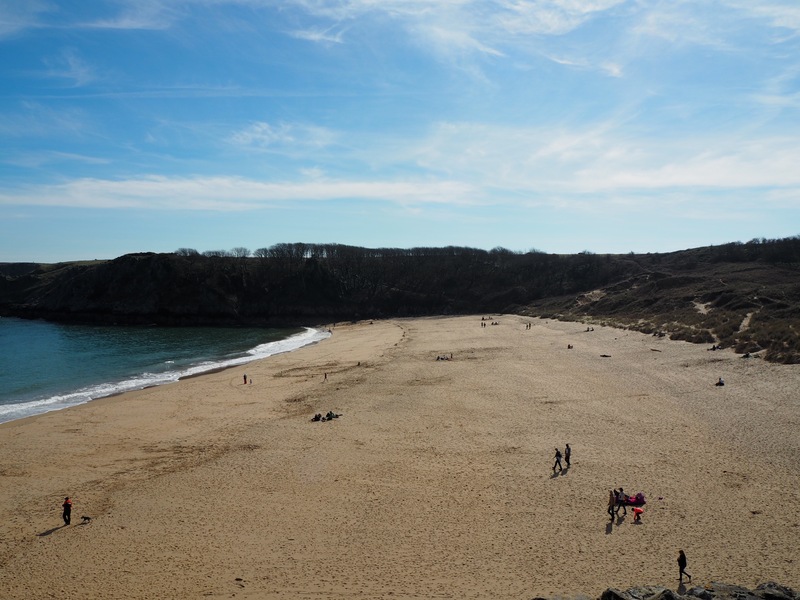 We’d heard about Barafundle when it topped another poll of beautiful beaches, and had to check it out. And we weren’t disappointed! Check out that view from the clifftop above. We’ve since been a few times, and we stick to the original plan. 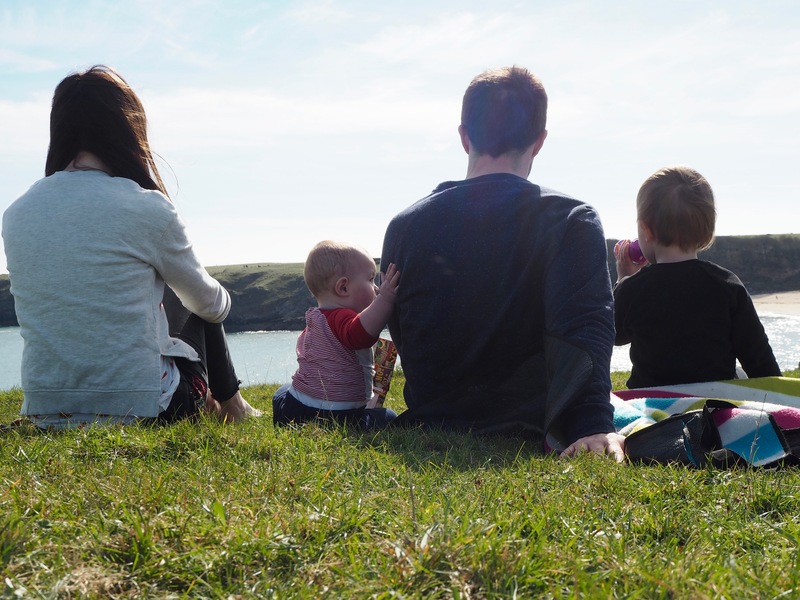 Park up in Stackpole Quay – there’s a National Trust car park that costs £5 for the day or £2 after 2pm – and walk the 1km overlooking the sea. When we visited last, our two boys loved pointing out boats on the water. Once you get up the first set of steps to the path, the walk is flat and easy. We took a picnic with us (leftover takeaway pizza from the night before), and stopped half way along for a rest. 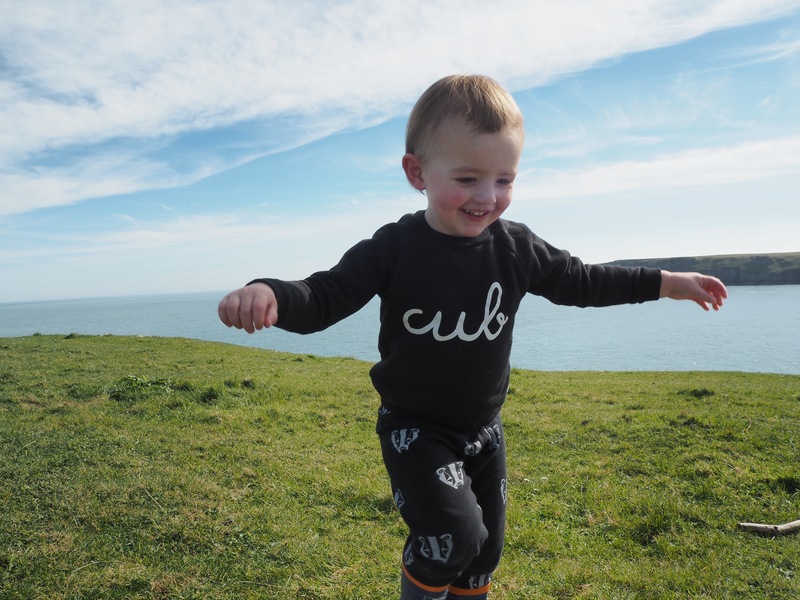 Even if it’s flat, it’s still a bit of a walk for a toddler. 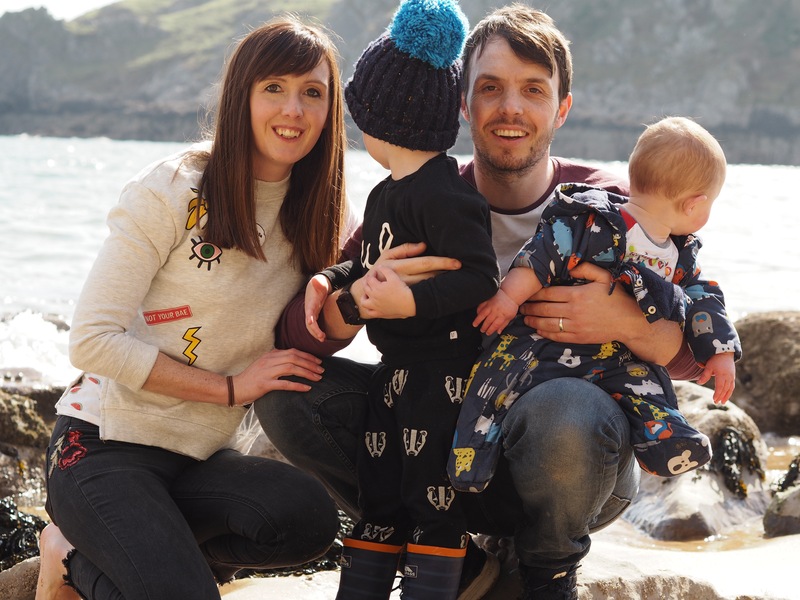 When you get to Barafundle itself there are some steps down to the sand, which would be tricky with a pram. To save hauling ours down and back up we took our Baby Bjorn carrier for Ezra. He’s happier being able to nose around anyway! 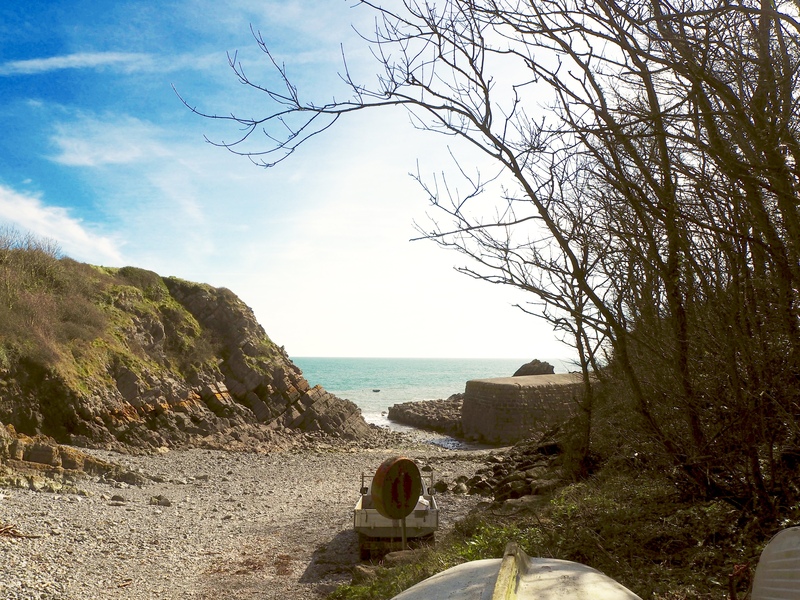 The beach is in a cove, which apart from making you feel as if you’re in the Famous Five and should be going on an adventure, means it’s quite sheltered from the wind. We set ourselves up between some rocks and started building sandcastles. 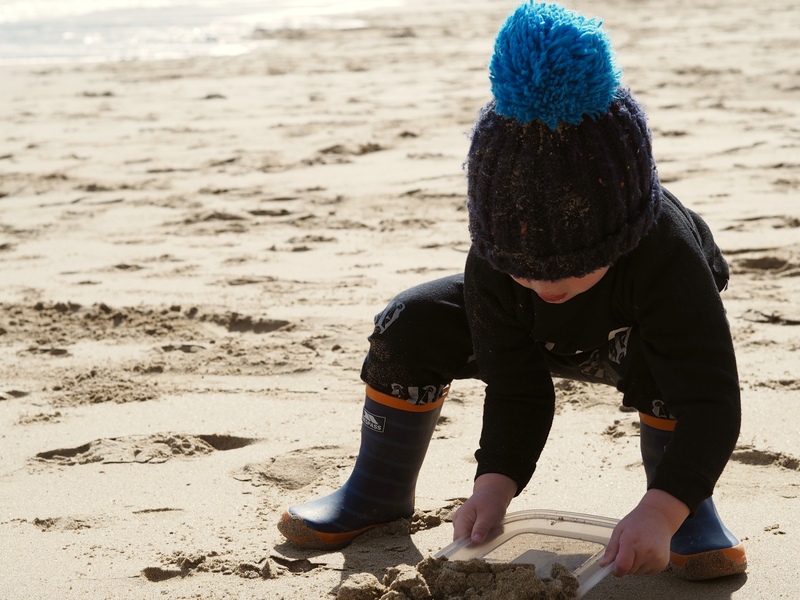 Being fairly disorganised, we’d forgotten beach toys and ended up using the tupperware box we’d carried the pizzas in as a bucket and the lid as a spade. 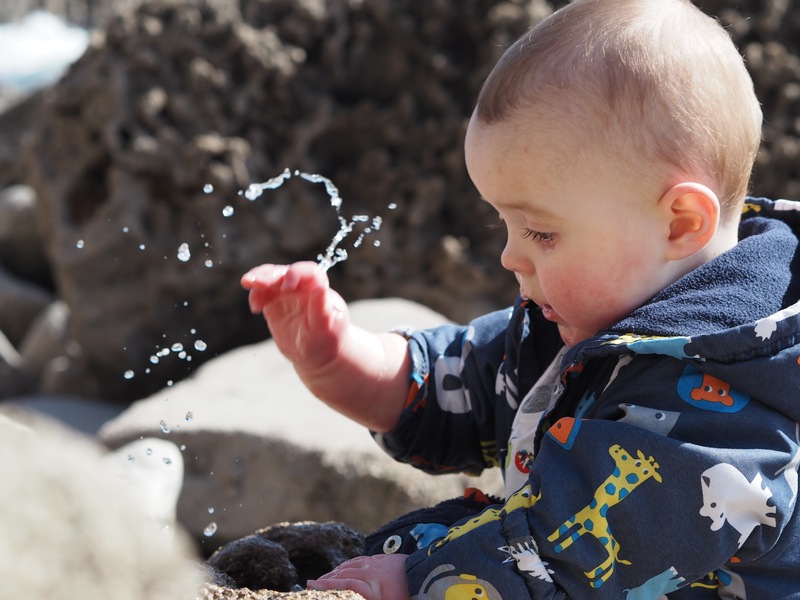 It turns out the box was perfect for pouring water onto the rocks and making waterfalls too – such simple fun. We hunted in the rock pools for crabs, and Ezra made sure he got as wet as he could with a couple of inches of water. The one thing to remember with Barafundle Beach is that being so secluded obviously means there are no facilities. This is a big part of its charm – no shops, no ice cream van etc – but means you have to take everything you need and if you forget something it’s a bit of a walk back to the car! 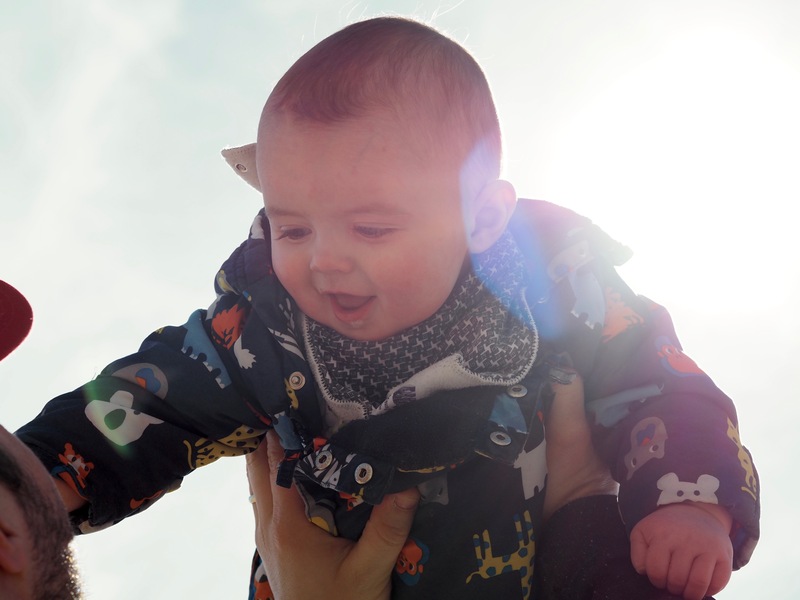 We’re used to outdoor nappy changes and a toddler weeing in the bushes by now! If you have a full day, you can walk across the beach and rejoin the path the other side. 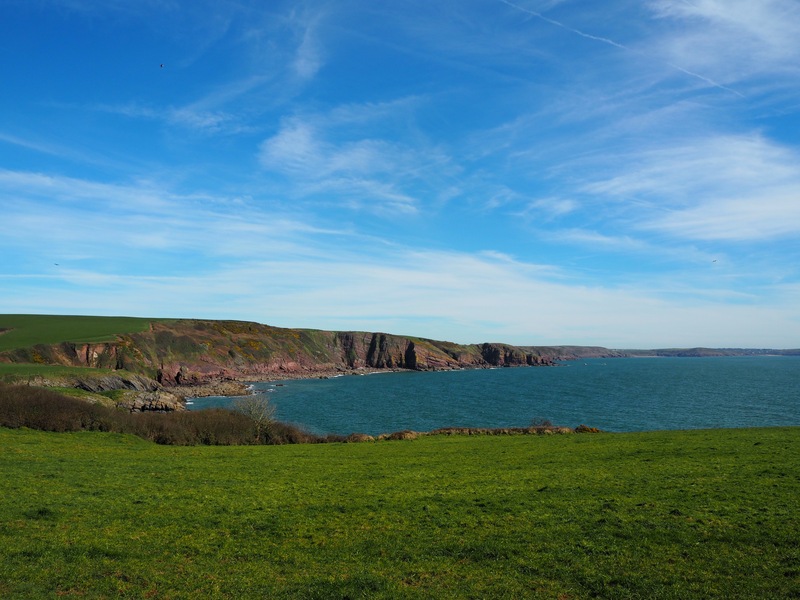 This will lead you over Stackpole Head and onto Broad Haven Beach. Slightly further on again are the Bosherston Lily Ponds, which are stunning when the lilies are in bloom. You can drive and park at the ponds if you have little ones who can’t keep up with all the walking. 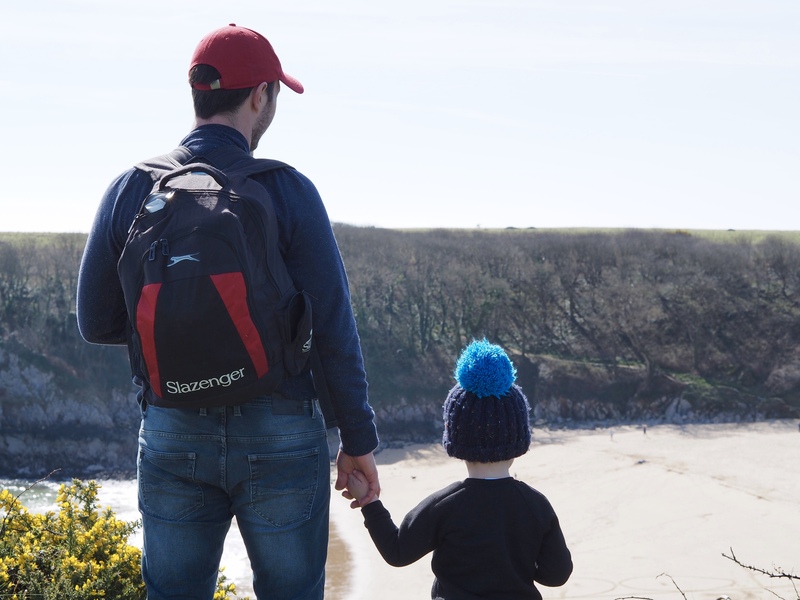 We stuck with Barafundle on this occasion, and after a couple of hours building sandcastles and dipping our toes in the sea we headed back along the path to Stackpole. If you need a cuppa after all that walking, there’s a lovely little cafe at Stackpole that does a good cream tea! And of course, the obligatory family selfie where there are no children looking at the camera! I made a little video of the day … have a little look below! It’s such a gorgeous place, isn’t it? Love your photos.